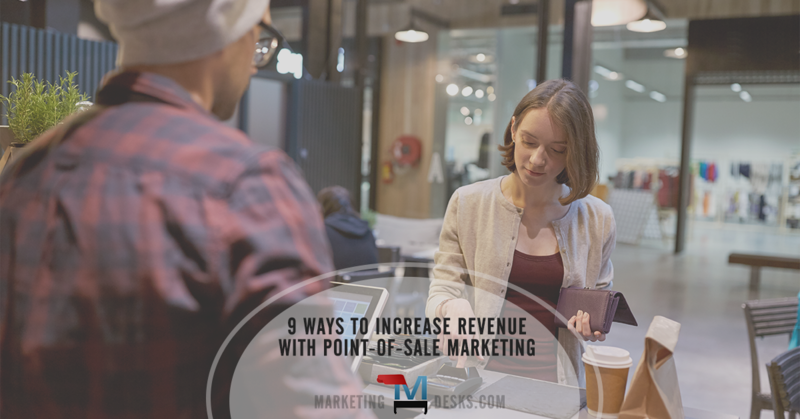 Effective POS marketing strategies (point-of-sale) could make the last point of the buyer’s journey the most profitable one for your business. After the POS – what happens after the transaction? In this model, what occurs during the point-of-sale portion of the customer visit (including what happens immediately afterward) could constitute one-third of the opportunities you have to impact how much the customer spends and whether they spent more than they would have otherwise (because of the marketing tactics you employed at the POS). This is when the customer has clicked on their cart or started the checkout process online, when they’re approaching the cash register or standing in line, waiting at the table for you to bring the bill or take their payment, etc. At this point in the buying process, the customer has mentally stopped shopping. In their minds, they have everything they need in their carts (or tummies). However, according a creditcard.com poll, five out of six Americans admit to impulse buys, so the game is by no means over! 1. Appeal to pioneers and early adopters. These are the individuals who just looooove being the first to try something new. 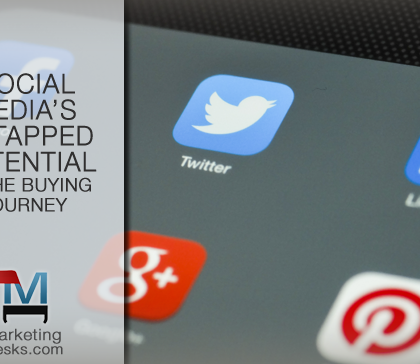 They relish being ahead of the rest when it comes to new technology, products, or services. 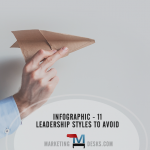 While customers are waiting to start their transactions, use marketing to ask whether they missed out on new arrivals to your company’s line up. 2. Use technology to mitigate the wait. 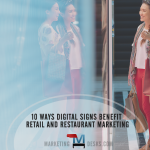 Studies show that consumers perceive their wait time to be less when digital signs, kiosks, and other devices are present. While you have the customer as a captive audience, entertain and engage them with digital displays, videos, or interactive messaging. 3. Remind them of past purchases. The idea behind Amazon’s “dash” buttons is genius: Make it easy for customers to replenish supplies as soon as they run out (or even before). Before the customer transactions is completely underway, use information about their historical purchases to generate questions that might remind them it’s time to repurchase something they may be running out of or which they would enjoy again. This is the moment where the transaction process has begun but has not yet been completed. Questions and suggestions raised here have the ability to instantly increase the amount of the sale and make the customer happier, since they didn’t miss out on something they couldn’t find or miss an opportunity to scoop up a special deal. 4. Start with what they couldn’t find. Tried and true, asking customers if they had looked for something they weren’t able to find is a great way to ensure they leave with everything they came for. 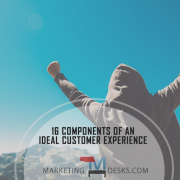 It’s also an invaluable way to discover whether there are additional needs your business could be meeting by adding specific menu items, products, or services based on customer demand. 5. Tell them what they might also like. Another e-commerce technique that brick and mortar businesses of all kinds could be using is the “you might also like” suggestion. This is where you can talk about the benefits of upgrading, upsizing, and add-ons like accessories or warranties that might enhance their purchase. 6. End with last-chance opportunities. Before payment is submitted, ask customers whether they want to take advantage of any last-chance or limited time offers. These are offers that help customers feel like they’re getting the most value for their dollars and in an era where direct mail and email offers often go unread, they’re also offers that customers might be unaware of. This is the time immediately after the transaction. 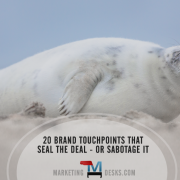 The post-POS marketing tactics you deploy here give you a chance to get feedback, ask for reviews, and remind customers about what’s coming to your business in the near future, so that you can immediately get them thinking about returning. Post-POS marketing and marketing done in-between visits can increase the frequency with which the customer visits, thereby increasing their lifetime value to your company. 7. Information on the receipt. Many businesses now use receipts to generate coupons for future visits, ask customers to complete online surveys, or remind them about upcoming events. Plus, since many people keep receipts around for accounting or tax purposes, they can provide a lasting reminder about your company long after the transaction has been completed. 8. Ask for a review or rating. Stars and positive reviews are the new word of mouth. 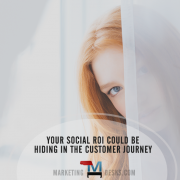 They are the data that prospects use to decide whether to try your business in the first place, and set expectations for how they perceive your brand, and how they feel about doing business with you. While your company is still top-of-mind in the moments following a successful transaction, ask the customer to leave a review for your business and make it easy to do so, with digital devices placed in-store or an online link to a review site provided with the digital receipt. Every POS transaction should give your business the opportunity to gather contact information for email marketing, period. Email is far and away the channel most consumers cite as their preferred method for receiving brand communications. Make sure that if you haven’t yet gotten the customer’s email address during the course of the transaction, you capture it here, by emailing receipts to customers rather than print them directly in-store or online. Every point during the buying journey offers unique opportunities where your business can engage the customer. Make sure you’re making the most of the last – and most powerful – part of the customer journey so that you’re not leaving money on the table.